Melt butter in saucepan over low heat, add flour, sir until smooth. Cook 1 minute, stirring constantly. Add milk, cook over medium heat, until thick and bubbly. 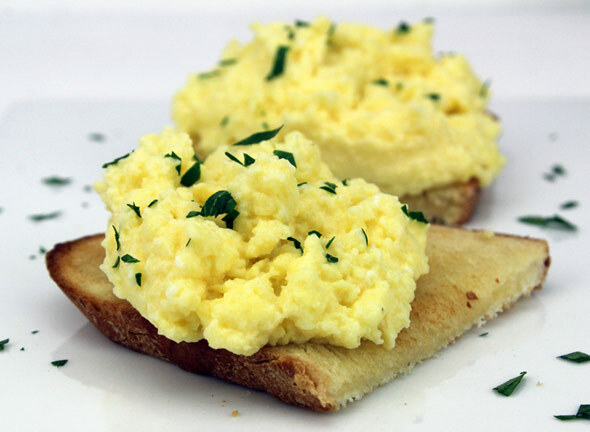 Combine eggs, cottage cheese, salt and pepper, beat well, stir into white sauce, cook until eggs are firm, but still moist. For my batch of eggs, I used small curd, low-fat cottage cheese. To make 4 servings, just cut the recipe in half EXCEPT for the butter and flour - use 2 Tablespoons each for those. The only drawback that I found with this recipe was that the pan I used had to soak for an hour before I could wipe away the egg residue. Just a heads-up. 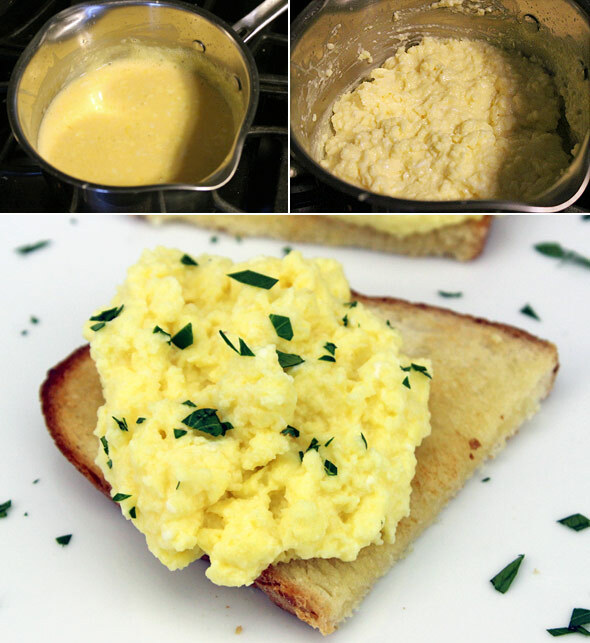 Cottage cheese and a buttery white sauce work together in this recipe to produce the creamiest scrambled eggs you'll ever have. Mr Breakfast would like to thank dustie for this recipe. Recipe number 659. Submitted 9/16/2002.